Interleukin 17-producing T-helper (Th17) cells are a recently-identified class of immune cells that play a major role in protecting us against invading pathogens. 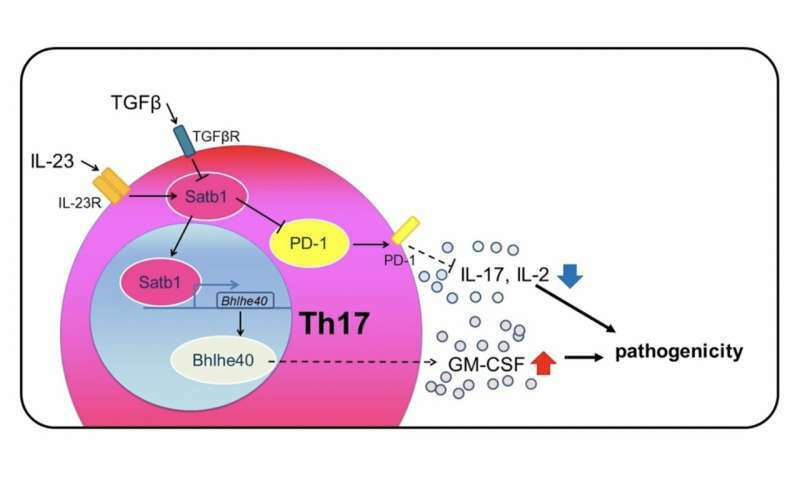 But, despite their name, Th17 cells aren't always so helpful. In fact, studies have shown that excessive inflammation induced by Th17 cells is actually one of the underlying causes of many inflammatory and autoimmune disorders. To answer this question, the researchers examined genome organizer protein Satb1. "We have known for some time that Satb1 is indispensable for the development of T-cells in the thymus. However, how it is involved in the regulation of pathogenic processes of Th17 cells in inflamed tissues had not been examined," explains lead author Keiko Yasuda. 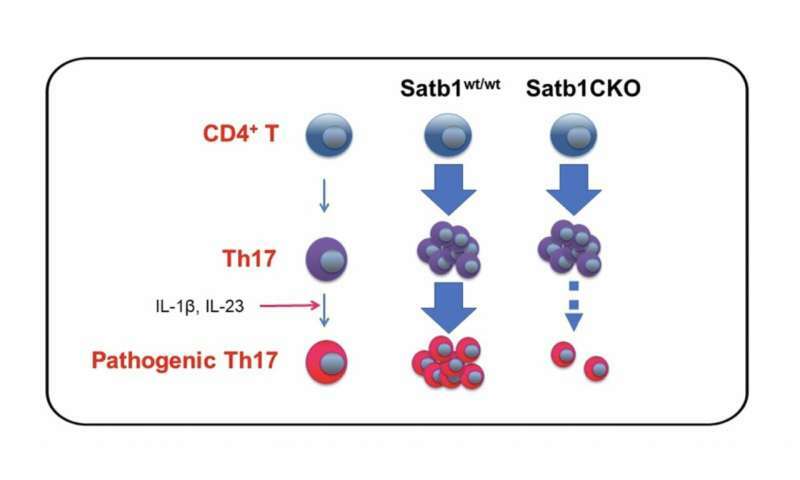 As explained by study corresponding author Shimon Sakaguchi, these findings are something to get excited about: "Our results suggest that manipulating Satb1 gene expression in Th17 cells could form the basis of novel treatments for various autoimmune diseases caused by Th17 cells. If we can prevent the pathogenic processes of Th17 cells, we may be able to alleviate or even eliminate disease symptoms."